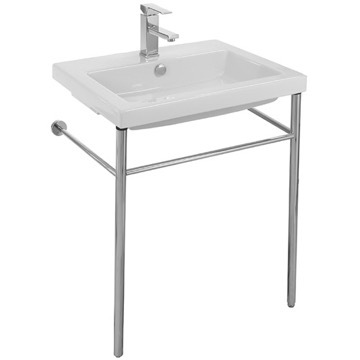 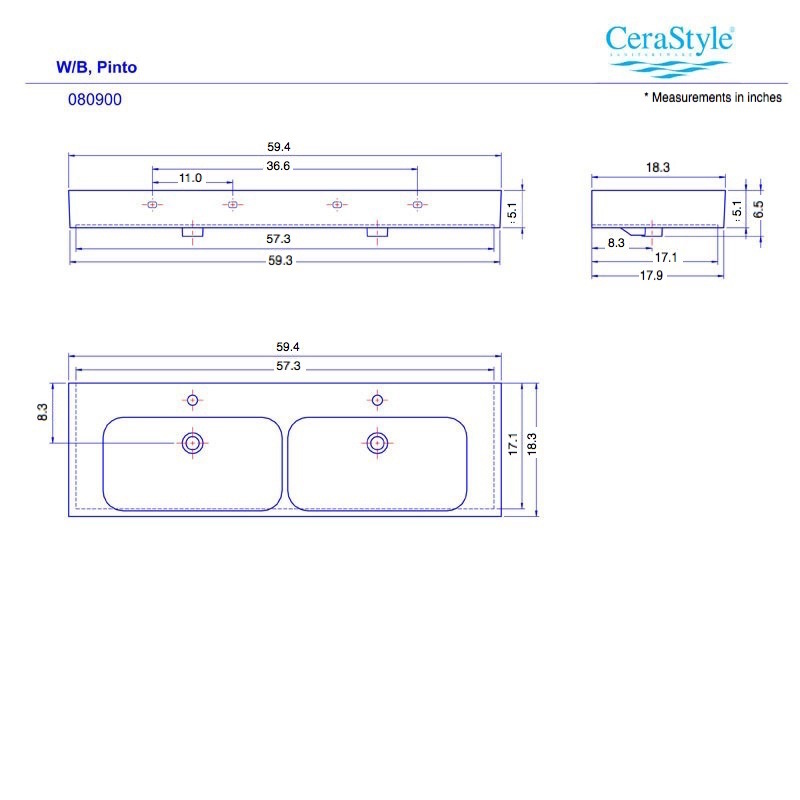 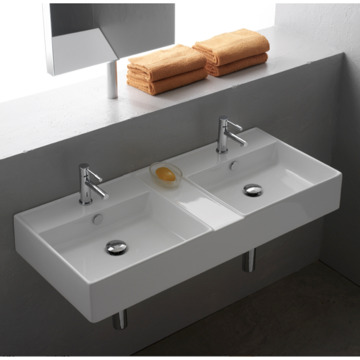 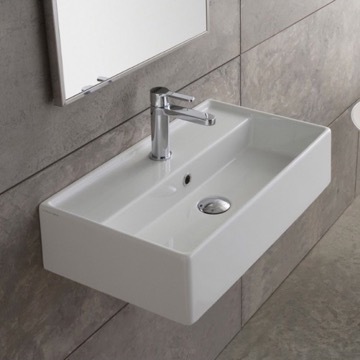 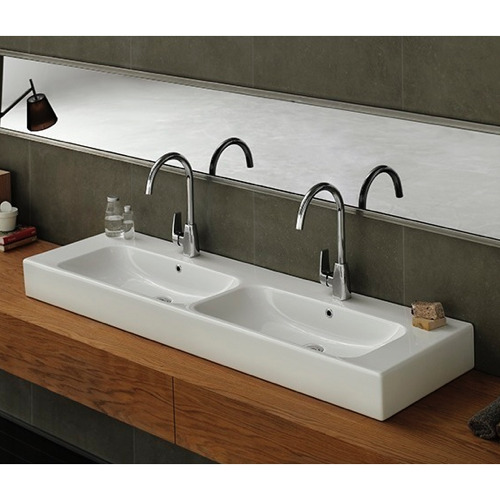 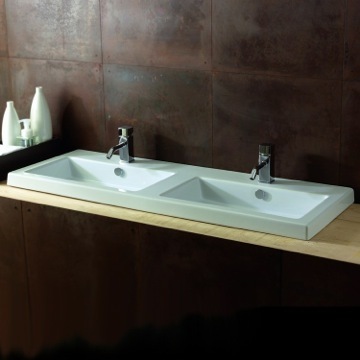 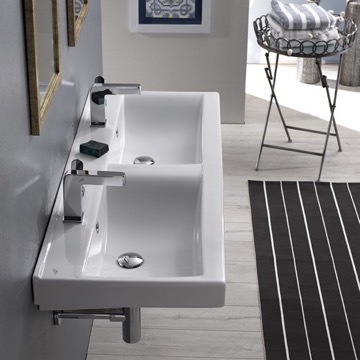 This modern 60 inch wall mounted or vessel bathroom sink features two basins and two faucet holes. 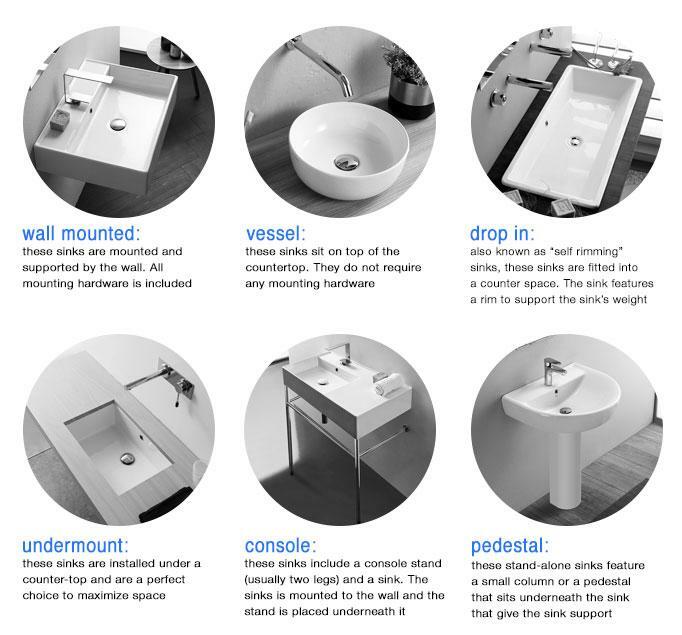 Each sink includes an overflow. 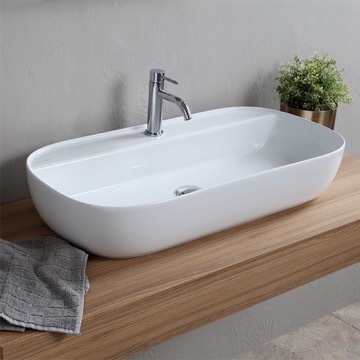 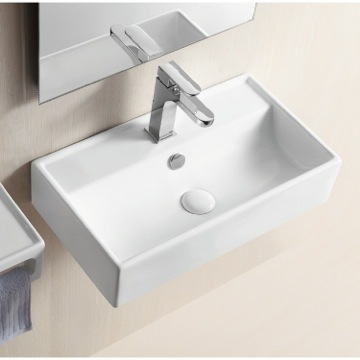 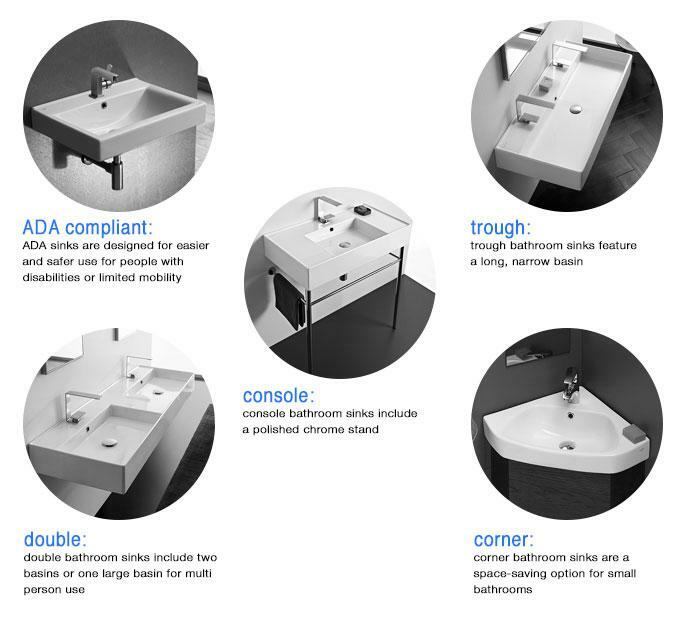 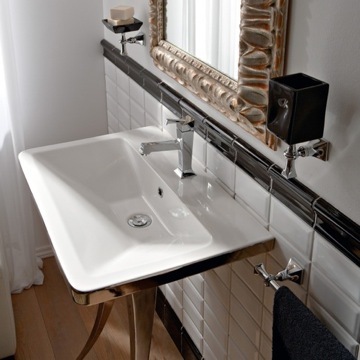 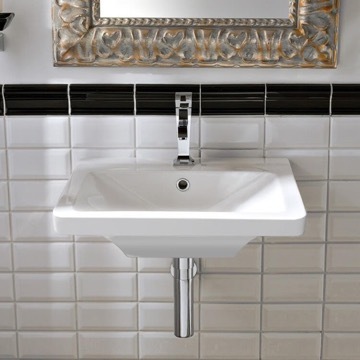 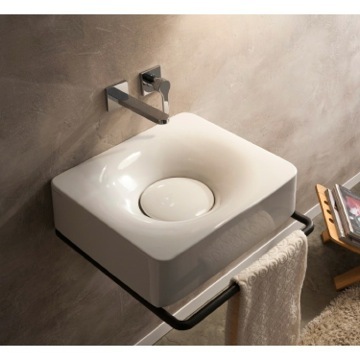 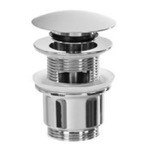 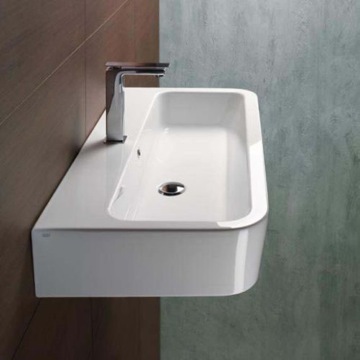 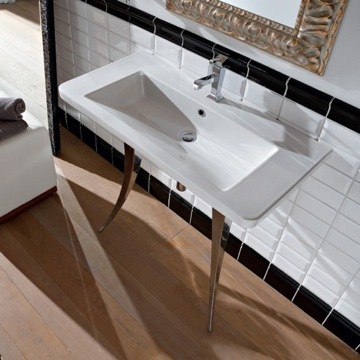 This beautiful sink is made out of high quality ceramic and is ADA compliant. 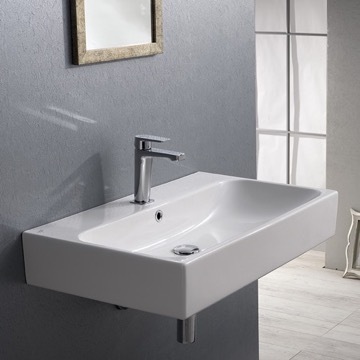 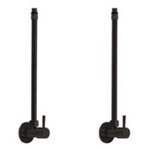 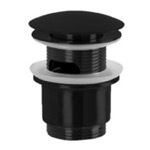 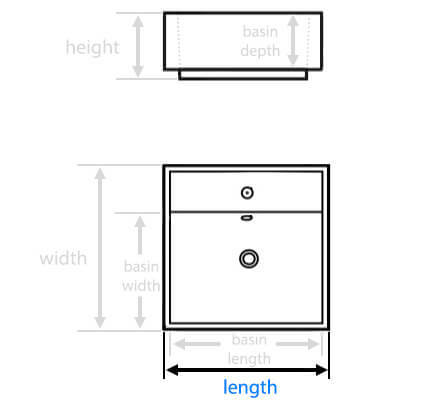 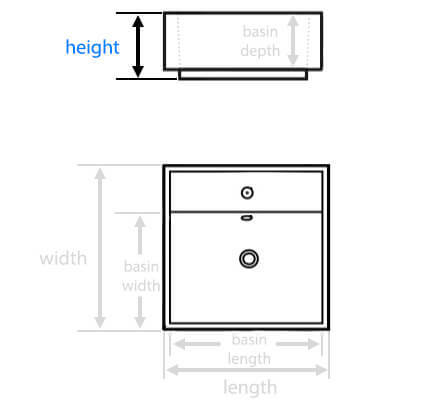 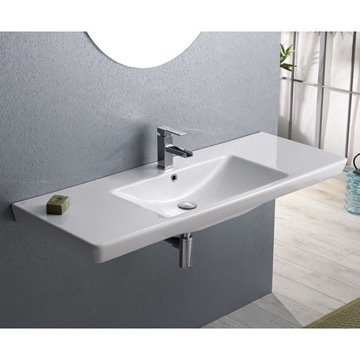 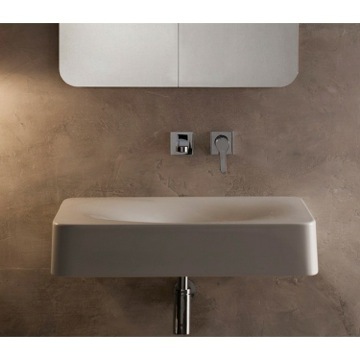 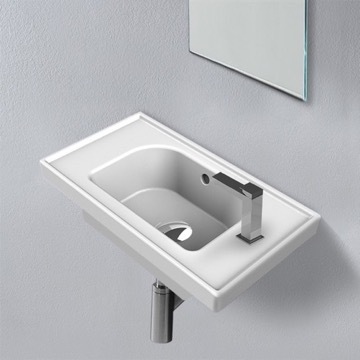 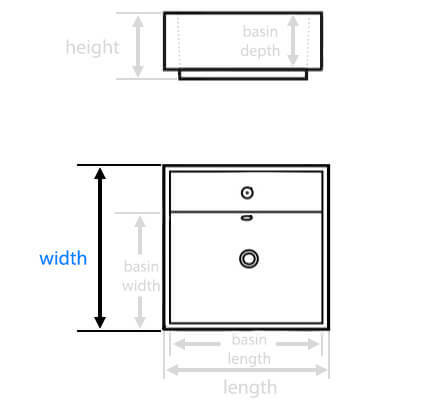 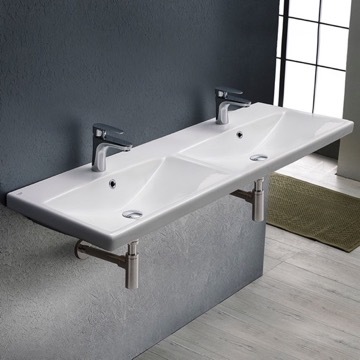 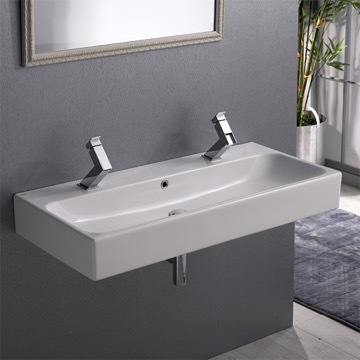 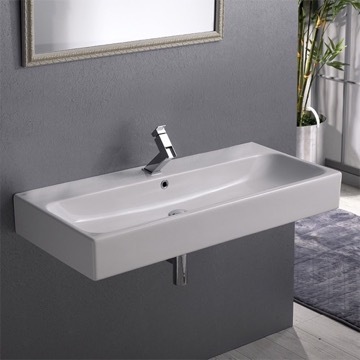 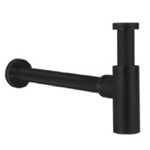 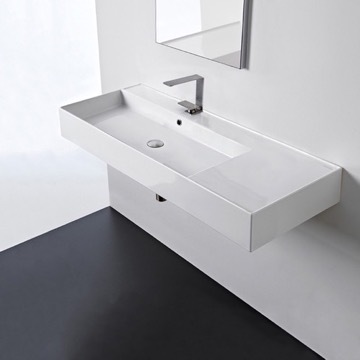 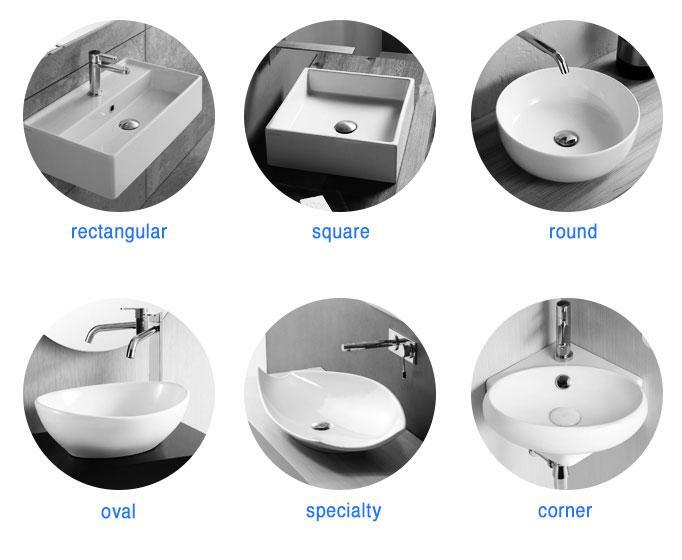 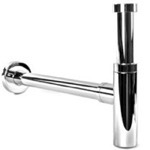 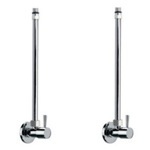 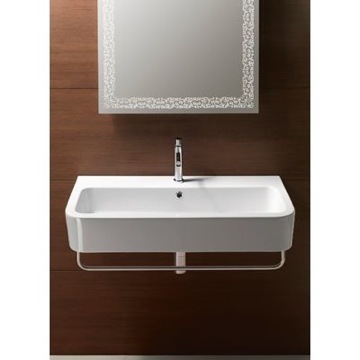 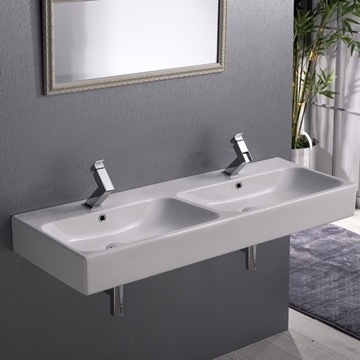 This modern 60 inch wall mounted or vessel (above the counter) bathroom sink feautures two basins and two faucet holes. 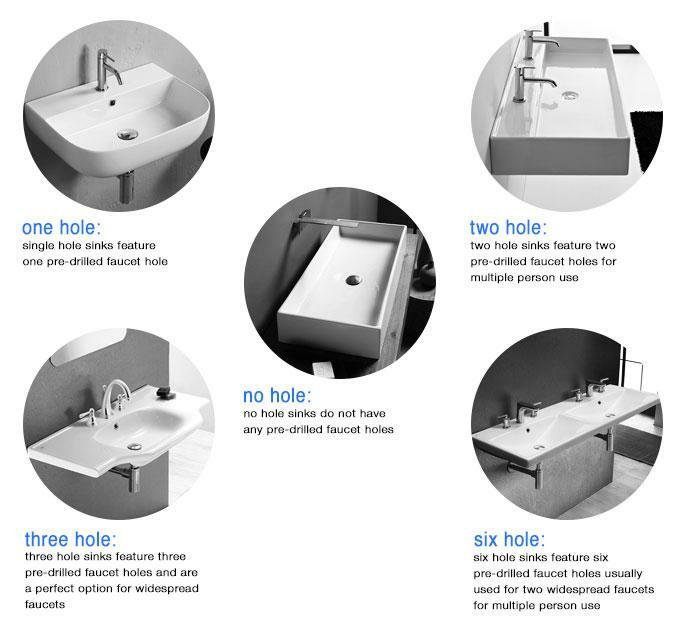 Each sink includes an overflow. 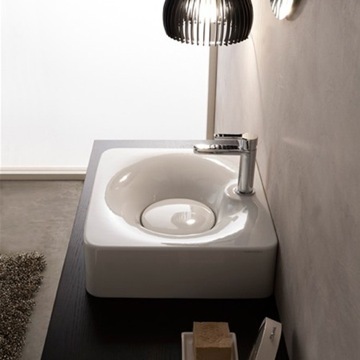 This beautiful sink is made out of high quality ceramic, and designed by high-end, and well known Turkish brand CeraStyle.